A joint venture between Australia’s Ryan Aerospace and the United States’ Precision Flight Control (PFC) has received certification by the US Federal Aviation Authority (FAA). Ryan Aerospace and PFC jointly developed a cost-effective helicopter simulator that has now received certification as an advanced aviation training device (AATD) by the FAA. The device is reconfigurable between the Bell 206 and Bell 407 helicopters but can also be used as a generic rotary wing training aircraft. 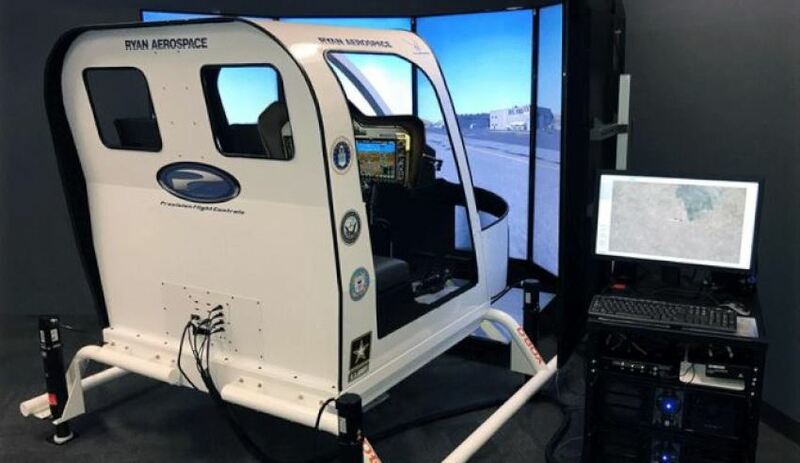 The two companies said the new helicopter simulator was launched almost a year ago at I/ITSEC, the world’s largest military training and simulation event in Orlando, Florida, and has now passed vigorous testing with the FAA to achieve this certification. President and chief executive of PFC Mike Altman said he was proud of the work that had been done to achieve this major milestone. Managing director and founder of Ryan Aerospace (Australia) Chris Ryan added, "This is a real game-changer for flying schools looking to save money and reduce risk." In a joint statement, the companies said this certification means training schools are now able to offer a more cost-effective and safe way to train helicopter pilots in a variety of key areas and to achieve credits in the simulator, rather than the real aircraft. "With aircraft purchase and running costs forever being on the rise and simulators becoming more powerful and less expensive, there is a compelling business case to consider simulation as an effective training tool to supplement (and replace) some real helicopter flying," the statement read. The unit comes with a full PC rack system complete with licensed software and instructor operator station (IOS), which allows users to create scenarios, set weather conditions, change time of day or night, select any airport (worldwide) and induce failures. The (included) Garmin 530 uses RealityXP software offering a GNS530W with virtually full functionality. There are also various options to choose from such as visual system (projection dome system or LCD panel display), avionics and motion and vibration system.